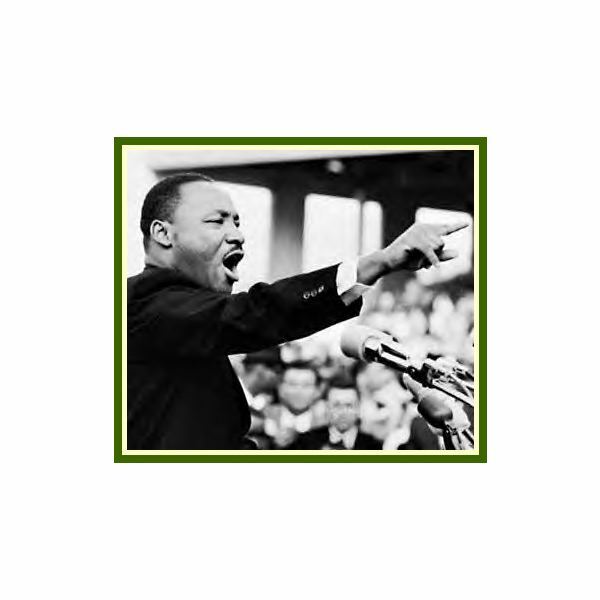 Learn About the Martin Luther King Jr. Holiday: Make It Meaningful! country toward greater racial acceptance. One pivotal moment began with the Montgomery Bus Boycott in the state of Alabama between 1955 and 1956. An unassuming African American man joined in the protest to call for a stop to bus segregation, and for fair wages for other African Americans working in the city of Montgomery's public transit system; he was the Reverend Martin Luther King, Jr.
After peacefully protesting of the Montgomery Bus Boycott, Reverend King continued on with his mission of getting the word out about equal rights and desegregation. In 1963, Reverend King organized and led the historic March on Washington for Jobs and Freedom. The often-quoted “I Have a Dream” speech was delivered during the March on Washington. Reverend King was honored for his Civil Rights Movement efforts in 1964 by being awarded the Nobel Peace Prize. In 1968 Martin Luther King, Jr. was in Tennessee in support of the black sanitary public works employees' protest to help get them better wages and more respect. On April 4th, Reverend King was shot through the cheek while standing on the balcony of the Lorraine Motel. He died later that evening after surgery at St. Joseph's Hospital. In 1979, Congressman John Conyers (D-Michigan) introduce a bill that would make Reverend King's birthday a national federal holiday. The bill passed the House of Representatives but did not pass in the Senate. 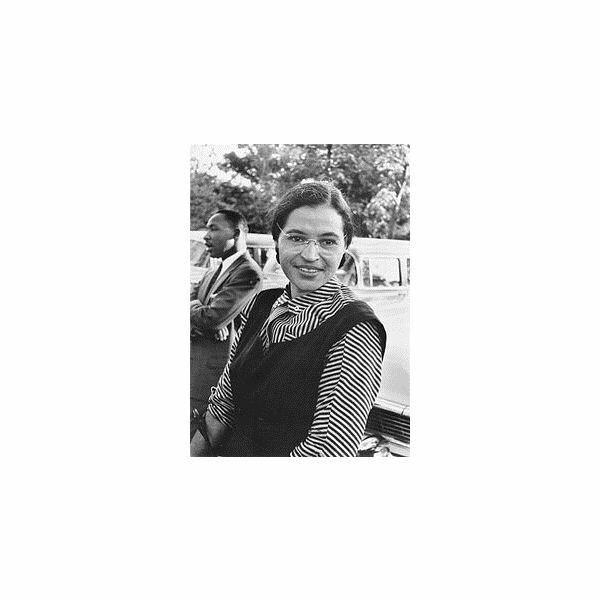 The King Center, founded by King's widow Coretta Scott King, helped take up the fight of getting a national holiday established–and what followed was the largest-ever signed petition to Congress in American history, with six million signatures. President Ronald Reagan signed a bill on November 2nd, 1983, making the first Monday in January a national federal holiday in honor of Martin Luther King, Jr.'s contributions and his lifelong dedication in support of racial equality and spiritual freedom. Included in the bill was a provision for creating the Martin Luther King, Jr. Federal Holiday Commission to oversee the observance of the holiday nationwide. Due to discrepancies in state-by-state view points, the holiday was not first observed nationally until January 20th, 1986, and it would take almost another ten years until all states accepted the celebration of the holiday. In addition to the traditional national observances of the holiday, the commission, in conjunction with The King Center, has created a new spin in the celebration of Martin Luther King Jr. Day. The Martin Luther King Jr. Day of Service is rapidly becoming the standard for remembering Dr. King. The premise is to not take the day off but rather to take the day and make it one of action to better the lives of America's citizens and to educate people on what Dr. King stood for. One way in which many people have served on this holiday is by volunteering at local libraries, helping with the Habitat for Humanity program and in teaching people how to use computers and utilize today's main software applications. 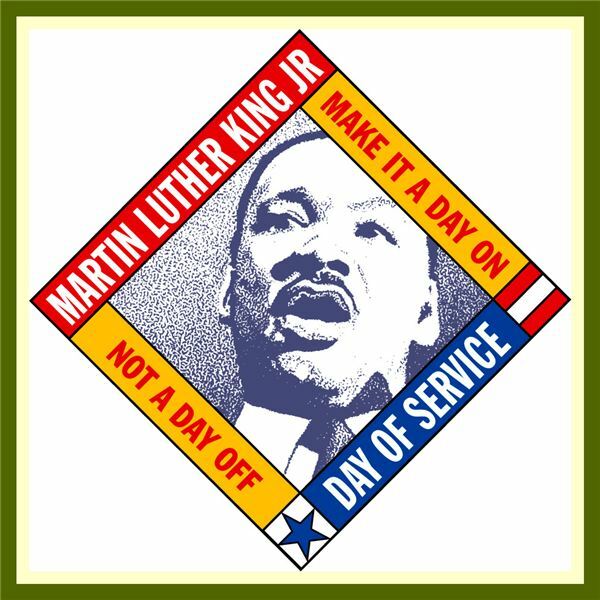 If you are in the United States and would like to get involved with making the holiday one of service visit the www.MLKDay.gov website and sign up. You can also learn more about how to get students involved in the holiday by reading the Kindegarten Citizenship Lesson Plan: Martin Luther King, Jr.